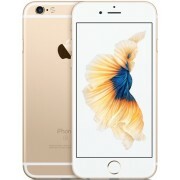 Let op: prijzen, links en productspecificaties voor Apple iPhone 6s 32GB zijn toegevoegd door onze weergegeven winkels. Laat het ons weten als u fouten vindt. 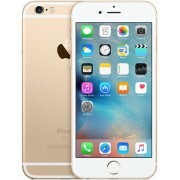 Vind de beste aanbiedingen voor Apple iPhone 6s 32GB (IPS LCD scherm, 4,7" scherm afmeting, 16.7M kleuren, iOS 9 besturingssysteem, 32 GB intern geheugen, 1 GB RAM, Apple A9 processor, Dual-Core, 12 MP camera) op ShopMania. Hier kunt u Apple iPhone 6s 32GB bij honderden betrouwbare webwinkels bestellen. 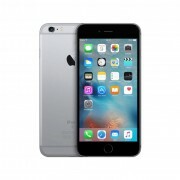 Ze hebben de beste prijzen voor Apple iPhone 6s 32GB en ze leveren door heel België. Informeer uzelf, lees de opmerkingen van experts en tevreden klanten en bekijk de foto's van Apple iPhone 6s 32GB. De beste kortingen en aanbiedingen vindt u alleen bij ShopMania. Vergelijk prijzen van mobiele telefoons en koop een Apple iPhone 6 s 32 GB mobiele telefoon tegen zeer lage prijzen. 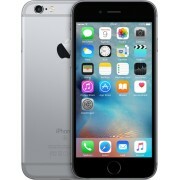 Regardless if you're viewing pics or videos, using social networks or various applications, editing documents or images or even reading a book, the 4,7" diagonal of the Apple iPhone 6s 32GB display offers you an exceptional user experience, that lets you use your phone capabilities to the max. A phone memory of 1 GB RAM offers a smooth execution of commands, so that the standard functions of the phone can be used optimally. With a 12 MP camera, this phone takes photos and video at a quality similar to a digital photo camera device, the clarity of the image is kept when transferring to a large display. 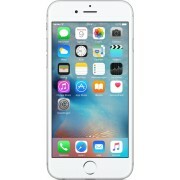 Color reproduction has high fidelity and the viewing angles are excellent on the IPS type display of the Apple iPhone 6s 32GB.